As parents, we hope to instill in our children the importance of traditions. Many of our family traditions revolve around food. For example, our Sunday evening tradition has become a London broil dinner. All my kids love this meal — which is quite a miracle — and I hope it might become a tradition in your home, too. 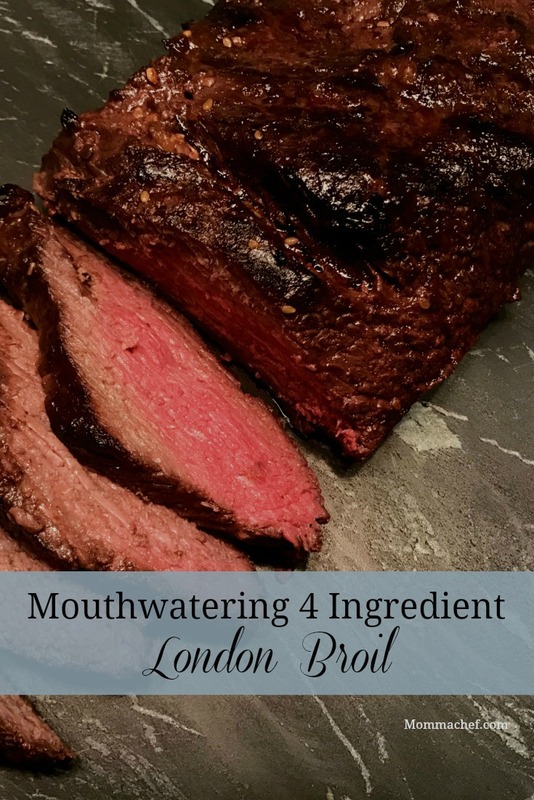 Prepare to impress with this delicious, super quick and easy four-ingredient London broil recipe. Mix Italian dressing, honey and soy sauce in a large Ziploc bag. Add London broil to bag and, if possible, let it marinate several hours in the refrigerator. This is a great recipe to quickly throw together in the morning and let marinate in the refrigerator during the day. Just put the meat in the oven or grill it when you get home. As always with red meat, let it sit for 5-10 minutes after cooking before cutting to seal in the juice. This London broil is great served with grilled asparagus and brown rice (my favorite is Trader Joe’s frozen brown rice). This article originally appeared on MommaChef.com. It has been reprinted here with permission.